What can farmers learn from The Godfather of Advertising? We sometimes forget that farming is a business. While farming differs greatly from most industries, any business should learn from successful businesses in other industries. Farming is no different. I was recently told I should read a book titled Ogilvy on Advertising. It’s considered one of the best sales and marketing books of all time. What caught me off guard was……the person who recommended it thought it had a lot of actionable advice for farmers. A sales book that helps farmers? OK sure….I thought. Well, I recently finished it and found it fascinating. 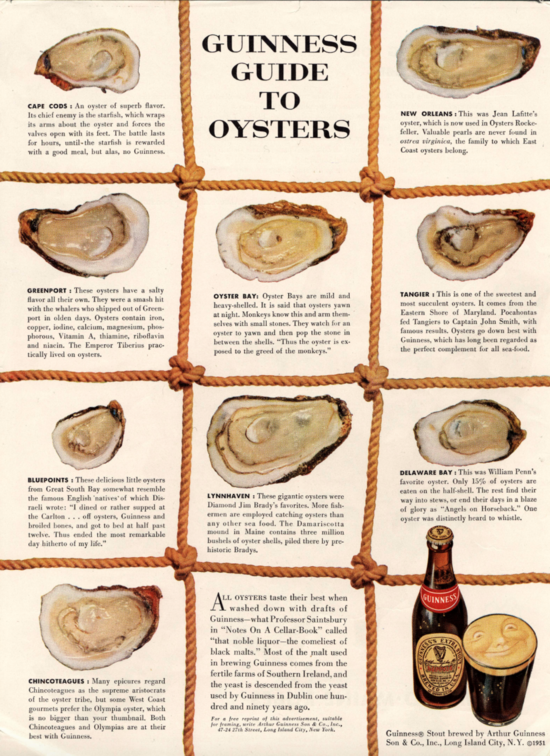 It was written by David Ogilvy who’s considered the Godfather of Advertising. What does advertising have to do with farming? Not much….but give me chance here….. Here are some of Ogilvy’s key principles. Successful advertising for any product is based on providing value and information. 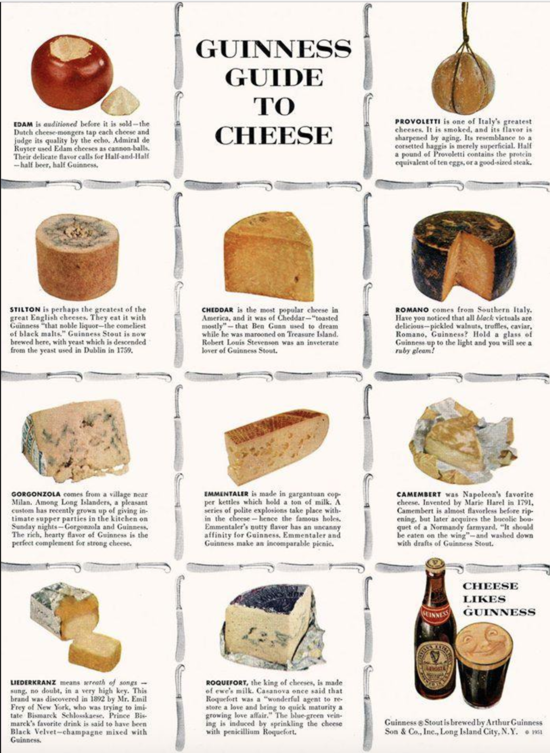 Never underestimate the importance of research and science in advertising. He believed that the best way to get new clients was to do notable work for his existing clients. The customer should be treated as intelligent. In 1955, he coined the phrase, “The customer is not a moron, she’s your wife” based on these values. Always invest in your brand. 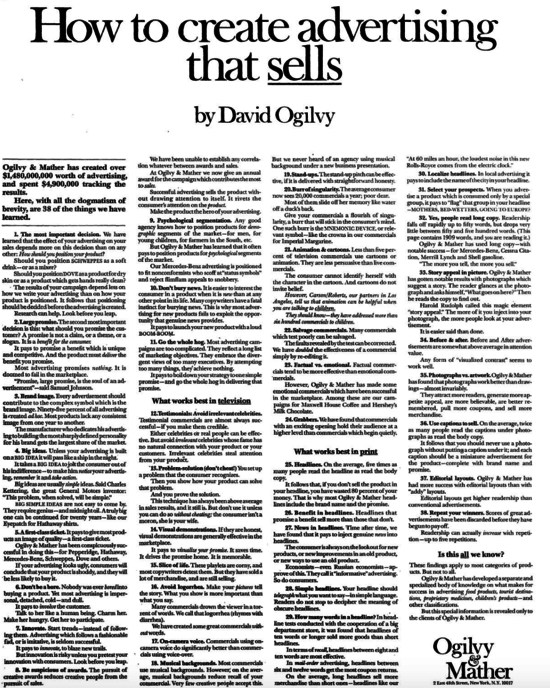 See below for one of Ogilvy’s ads for his own agency. Notice how the ad is focused on providing information to his prospects. Knowledge sells. See below for a couple ads Ogilvy did for Guinness Brewing. Note that they are heavy on information and light on selling. You’re probably still asking, how the hell does this stuff relate to farming?? Let’s apply Ogilvy’s principles (from above) to farming. Share information with your landlords. It’s highly likely that they’d love to get more frequent updates on their land and your farm. Take a couple minutes out of your day to document (photograph) the work you’re putting into their asset. Some of the most successful (and growing) farms I’ve encountered have an ag-related side business. If you’re thought of as a subject matter expert in precision ag, agronomy, crop insurance, or any other ag-related “vertical”…..opportunities will come your way. If you provide knowledge and value, you will be rewarded. Your fields are your advertisements. If you take care of the land you farm, it will be noticed. Build your brand as a good farmer. Base your agronomy and farm management decisions on research. Constantly seek ways to produce more for less….based on your own on-farm and unbiased research. 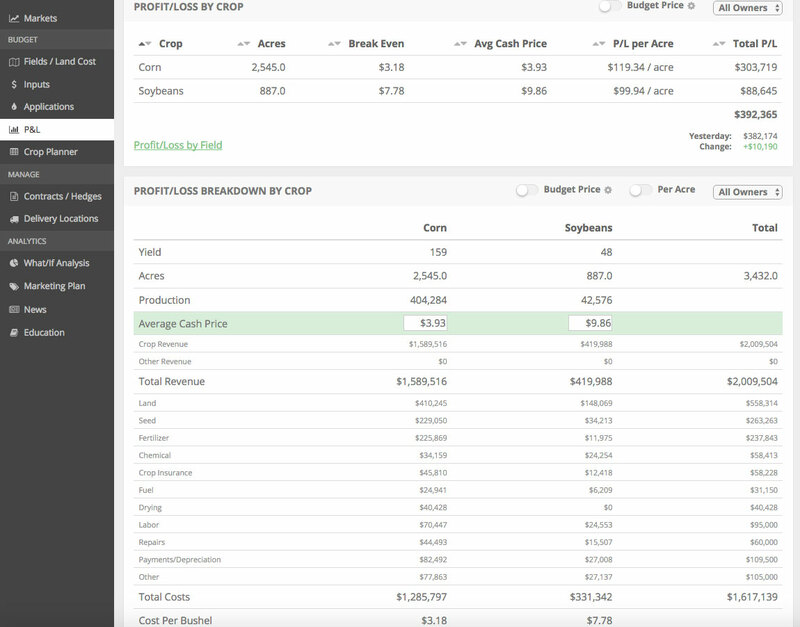 Make grain marketing decisions based on probabilities and profitability not on prediction. Our emotional nature as human beings often leads our “gut feel” astray. At the end of the day growing your operation in a financially-prudent way is one of the hardest things in agriculture. But it is possible. Apply the lessons from an unlikely source, the Godfather of Advertising, to open doors for your farm. If you’re interested in receiving thoughts for us like this on farm business, finance, and risk management please sign up for our newsletter below.